As the twenty-first century moves towards its third decade, applied theatre is being shaped by contemporary economic and environmental concerns and is contributing to new conceptual paradigms that influence the ways in which socially engaged art is produced and understood. This collection offers fresh perspectives on the aesthetics, politics and histories of applied theatre. With contributions from leading scholars in the field, the book illuminates theatre in a diverse range of global contexts and regions. Divided into three sections - histories and cultural memories; place, community and environment; and poetics and participation - the chapters interweave cutting-edge theoretical insights with examples of innovative creative practice that traverse different places, spaces and times. 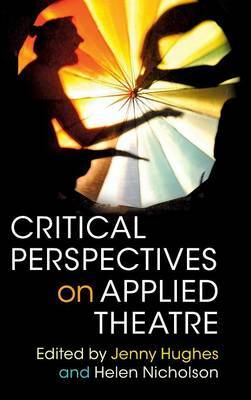 Essential reading for researchers and artists working within applied theatre, this collection will also be of interest to those in theatre and performance studies, education, cultural policy, social history and cultural geography.